Home AF Cares Belizo Zoo – One Woman’s Dream To Save The Endangered Jaguar! Belizo Zoo – One Woman’s Dream To Save The Endangered Jaguar! There is no doubt about it that Sharon Matola is passionate about what she does: saving lives one at a time. The lives of animals that is. The biologist and environmentalist is the founder and director of The Belize Zoo, which is currently the only zoo in the country. Getting to the zoo’s current state was certainly no easy task, but Matola’s determination and passion towards saving the indigenous species of Belize was steadfast. No person was going to stand in her way. Sharon Matola is an avid activist for animal welfare and the conservation of the ecosystem. The Baltimore native acquired an early interest of the natural world, attracted to anything from dogs, cats, birds, and even insects. Matola even recalls training a squirrel, by teaching it to sit on her knee and eat peanuts out of her hand. Today, a squirrel is a minuscule critter for Matola to handle for she has gained much experience working with large, exotic animals including pumas and jaguars. In 1981, she joined a traveling Mexican Circus for graduate study purposes where she trained to be a lion tamer. Matola was able to learn useful skills in handling the large cats from her Romanian trainer. He gave her clear forewarning of the many scars she would receive and bear but a willing and fearless Matola endured through it for a year. The list of greatest outdoor endeavors of Matola runs quite parallel to that of the famous adventurer Indiana Jones. Matola has climbed Victoria Peak 6 times, guided 4 expeditions to Belize’s highest terrain, Doyle’s Delight, studied for 5 years on the Raspaculo River, and led tours through historic Mayan sites for 5 years. “I’ve been bitten by scorpions and have been bitten by non-poisonour snakes. No big deal, any of it. And I’ve been bitten, plenty, by the animals here at the zoo!” At this point, no person AND animal was going to stand in her way of achieving her goals. The zoo was at first a small “backyard” project, a direct manifestation of Matola’s care and adoration for animals and their habitats. Matola was told to “get rid of the animals” due to a lack of funds supporting the animals and their care following a documentary featuring the creatures. Rather than finding ways to “rid” the fauna, Sharon took it upon herself to house these animals. 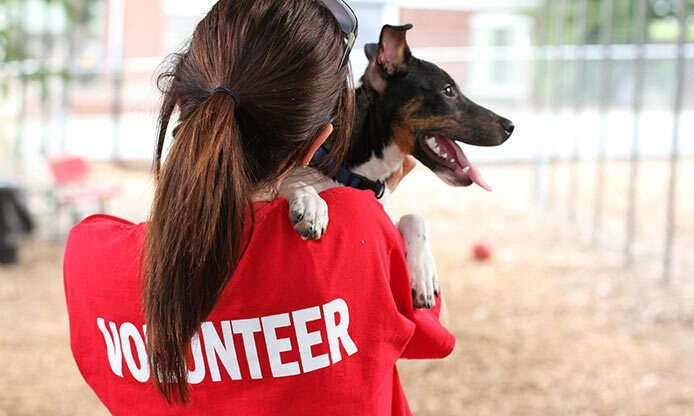 “They were tamed, they were my friends, and I had no intention of seeing them go anywhere. 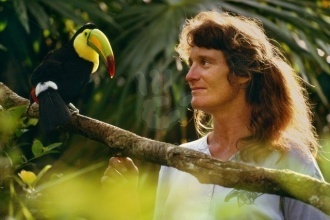 Realizing that Belize did not have a zoo, I started one, initially, just to provide an option for the leftover, say 20 or so, documentary film stars.” Transforming her passion and love for animals in an informative and fun way for people to enjoy, the zoo was founded in 1983 which consisted of just 17 animals and their respective habitats. As of 2010, The Belize Zoo had expanded to over 29 acres and was home to over 170 animals of 48 distinct native species of Belize. Every mammal, bird, and amphibian of the Belize Zoo were former pets that were abandoned, animals that were confiscated by the government, or animals that require rehabilitation and care. There are no indoor exhibits and all animals are freely left in their natural habitats. The Harpy Eagle is a popular visit for many people not only because it is one of the largest and most powerful species of eagles, but because it is an endangered species that is rare to locate elsewhere around the world. 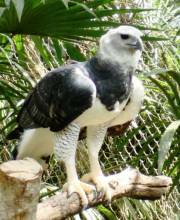 Harpy Eagles are an endangered species due to habitat destruction. The zoo’s exotic and varied animals attract thousands of visitors where the Tropical Education Center receives over 10,000 curious students and pupils every year. The zoo serves as both an educational and productive hub for prospective schoolchildren and as a center for the people of Belize to come together and appreciate the indigenous animals and ecosystem. Outreach towards educating young children is made possible through educational programs and zoo events offered on site. The education department offers two forms of visits for schools: special programs and self-guided tours. The special programs consist of 3 division levels where each emphasizes a different topic. The adaptation is intended for the lower division, wildlife for the middle division, and conservation for the upper division. Schools that choose self-guided tours give a large group of students the opportunity to walk around the zoo with a teacher or parent while using an informational booklet. The education department of the Belize Zoo also offers a Conservation Camp during July for students of age 12 to 17. The five-day overnight program takes place right at the zoo’s Tropical Education Center. Staff and students learn about conservation and preservation of the environment while exploring the wildlife of Belize. The impact on locals is significant towards continuing the conservation and preservation of Belize’s biodiversity. “How are we to expect people to appreciate their natural resources, their own animals, if they do not know these animals…not rocket science, the beginning of The Belize Zoo, just a logical view of what should be” states Matola. The zoo is able to connect the animals and people of Belize together, something that was never possible before the zoo was formed. It also raises support and interest of the Belizean people and promotes proudness to protect the rare species and environment that inhabit the area. Matola’s vision of educating the native Belize people as well as spreading knowledge about animal welfare and zoology has changed the lives of many, both human and non-human. 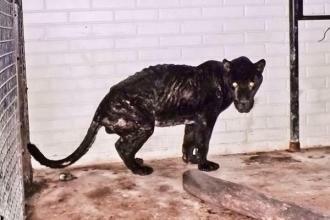 On July 20, 2012, a team of volunteers and rangers from The Belize Zoo, Belize Wildlife Conservation Network, and Belize Forest Department rescued a starving, abandoned jaguar that was found in the Ballum Na Lodge in Punta Gorda. It had been left in a cage for 11-12 years with minimum food, water, and care. The jaguar, named Bosch or Lucky Boy, was originally from Xcaret Zoo in Mexico and had known only captivity its whole life. He was found alongside another jaguar that unfortunately did not make it out alive. Lucky Boy was rescued just days before the passing and has found a permanent residence at The Belize Zoo. He has been described as “calm” and “easy-going” and is currently regaining his health. The Belize Zoo now houses fifteen jaguars including Lucky Boy, who is the only black jaguar. A few of the cats are still in a state of rehabilitation like Lucky Boy but with time and care, the jaguars will hopefully make a full, quick recovery. A once severely malnourished Lucky Boy is on his way to making a full recovery! To many, Matola’s profession may appear intimidating and impossible, but the passionate animal and environment enthusiast views her work and life as solely who she is. Matola’s love and appreciation for animal care and nature conservation has shown itself in a brilliant, thriving way, and the zoo serves as a symbol of her accomplishments. Through bites, close-to-death encounters, scars, and pain, Matola has persevered through it all. She is living proof that if you are passionate about something…anything, you hold the power to accomplish it. Previous articleBark City, Utah – Pets Takeover Sundance!